A new study by the Social Security Administration shows that in 2014, slightly more than 51 percent of Americans made less than $30,000, and nearly 63 percent made less than $40,000. In other words, the middle class is dying and its being sucked dry by a parasite known as the 1 percent. At a time when the cost of living continues to rise across the country even as salaries have stagnated for years, it’s sobering—though not unexpected—news about the economic challenges facing a number of American families. The Trans-Pacific Partnership (TPP) is the latest assault to destroy the middle class. This middle class destroying accord has been ushered through the senate by Wall Street Senator Ron Wyden. Here’s how Wyden’s scam works. Enactment of the Trans-Pacific Partnership (TPP) will force China to manipulate its currency more than is currently the case, and this will enrich wealthy US corporations that have shipped hundreds of thousand and millions of jobs to China, such as Nike, Microsoft, and Apple, as well as their rich shareholders, and CEOs, while destroying US export jobs, and redistributing massive amounts of income from the 99 to the 1 percent. The TPP will also send millions of undocumented immigrants into the USA, driving down wages here. But let’s begin with currency manipulation. Vietnam is one of the nation’s involved in negotiating the Trans Pacific Partnership. China’s annual minimum wage is nearly twice that of Vietnam. The wages in China at those Nike and Microsoft and Apple and Hewlett-Packard factories and their suppliers and contractors and subcontractors have been going up rapidly over the past fifteen years. Those labor costs have been able to go up because the Chinese government has increased the profit margins of its US manufacturers by manipulating its currency. But there’s another reason why China needs to manipulate its currency vis-a-vis the dollar. There are nearly 313,000 Nike workers in Vietnam, and nearly 250,000 in China. Vietnam has lower labor costs than those in China. The Chinese government, however, has been able to offset its labor cost disadvantage by manipulating its currency. So it can keep those jobs in China, and still allow the wages of Chinese workers to expand. But that might not be the case should the Trans Pacific Partnership (TPP) become reality. Under the TPP, those tariffs will be gone, giving Vietnam a much larger labor cost advantage over Chinese workers. In which case, the Chinese government will have two options; let millions of Nike and Dell and Apple and Microsoft jobs head south to Vietnam, along with the jobs of contractors and subcontractors, or manipulate its currency even more, which means all of those US corporations manufacturing stuff in China for export to the US will see unprecedented and explosive growth of their profits; and all of this will occur at the expense of small and medium sized US companies that make stuff in the United States and export them to China. 1. US unemployment will grow with the TPP, as exports to China diminish. 2. Inequality in wealth and income will continue to increase, destabilizing the economy further. 3. The stock market bubble will continue to expand, and the coming stock market crash will be even worse than imaginable. 4. US businesses will need to export more US jobs to China, and all of these bad things will trickle down to more crowded classrooms, less government services, reduced wages, fewer jobs, more poverty, and much more negative stuff for the 99 percent, as the taxes from those jobs are shipped overseas. 5. All of which means the US trade deficit will become greater because all of those things made by US companies in China will continue to be exported to the US, and the number is bound to increase with the TPP. The super rich will become even more super richer, while the middle class will continue to evaporate. Take a look at the graph below. On the left side (the Y axis) is the Yuan, which is the Chinese currency. The US dollar is on the bottom line (the x axis). Now look at the two intersecting lines, which is the supply and demand for dollars. In this example, 600 yuan can purchase $100 in the currency markets, which is roughly what the two currencies currently exchange for. Under the same conditions, this is true for companies that manufacture products in the USA, and then export them to China. American manufacturing companies earn $25 per $100 of product sold in the USA, and 150 Y when their products are exported from the USA to China. The government of China has often manipulated the value of its currency. So what happens when it does this? It purchases dollars. 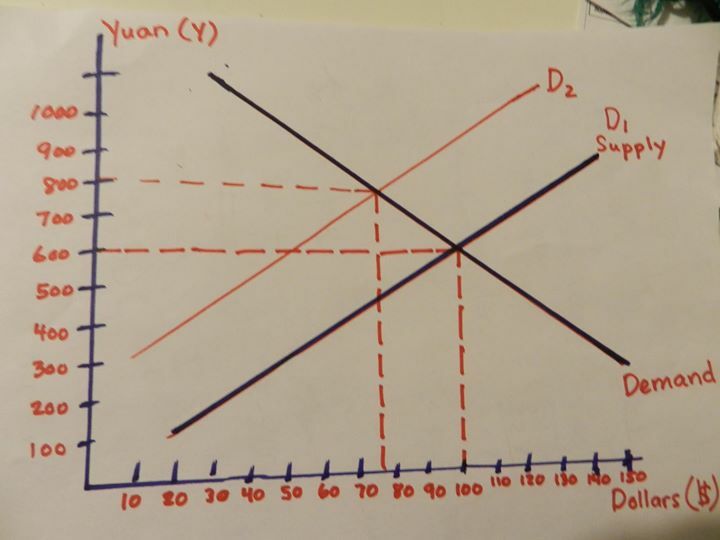 This shifts the D1 line to the left, because there are less dollars on the market, which is shown in the graph below as line D2. This makes the Yuan less expensive in terms of dollars. Why are the higher up folks at Nike, Microsoft, Apple and hundreds of other US corporations that are producing goods in China for export to the United States against any legislation that seeks to address Chinese currency manipulation? The answer is easy; it increases their profits! When the Chinese government manipulates it’s currency by purchasing dollars, 800 Y will now purchase $75. Do the math; 600 Y will purchase now $56. What does that mean? It means that when Nike manufactures a pair of shoes in China which costs 600 Y there, in the US it should cost $56 rather than $100, thanks to China’s currency manipulation, but that rarely happens. The US corporate propaganda machine will lie to you and tell you it makes Chinese imports less expensive. However, the truth is China’s currency manipulation increases the profits of Nike. Rarely, if ever, do prices go down for US citizens in this scenario. Nike still gets 25%, or 150 Y, in profits when its shoes are sold in China. When it exports the same shoes to the USA from China, Nike still gets 25% profit on $56, which is $14 dollars. However, Nike still sells its shoes for $100 in the United States, which means another $44 in earnings per pair, in addition to the $14. That means Nike’s profit margin on a $100 pair of shoes goes from 25% at the old exchange rate to 58% at the new exchange rate. This sends its earnings and stock prices higher. The same thing occurs with Microsoft, Dell, Hewlett-Packard, Apple, and all US corporations manufacturing in China, and exporting their products to the United States. The 99 percent do; if you work for a living in the United States, or if you’re a small or medium size business owner. Here’s how. Suppose you are a US manufacturer producing shoes in Oregon that sell in the USA for $100. You ship them to China at 600 Y for $100, and earn 150 Y, or $25, in profits. Now suppose the Chinese government manipulates its currency by purchasing tens of billions upon tens of billions of dollars. 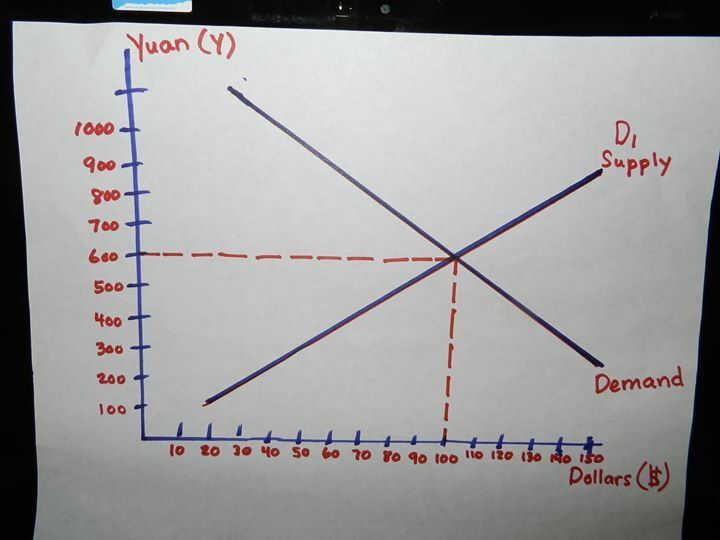 The supply of dollars on the international currency markets shrinks, making dollars more expensive, and as noted above, the D1 line shifts to D2, which represents the new supply of money. BTW, the space between D1 and D2 represents the amount of dollars the Chinese purchased. US exports to China are going to shrink quite rapidly under this scenario. This means fewer American jobs, and declining wages for everyone. It means less tax dollars going to schools and other government services; it means no retirement pay for a larger percentage of the 99 percent. Over the past fourteen years, since China was granted most favored nation trade status, Nike’s stock price has risen over a thousand percent, from $10 a share to over a $100. Chinese currency manipulation has helped fuel this bubble. So if you purchased a million shares of Nike in the year 2000, today the value of those shares would be over $10 million. With the TPP and Chinese currency manipulation, the value of Nike’s stock will continue to increase, but only at the expense of everybody else. Much of the US stock market bubble is fueled by the same force, and that goes for the stock prices of Apple, Microsoft, Dell, Adidas, Hewlett-Packard and many more. And if the TPP passes through congress, more US manufacturers will need to shift production to China. However, it’s going to be worse than you can imagine. Millions of jobs in Mexico, Central America, Peru and Chile will also be threatened with exportation to Vietnam and China under the Trans Pacific Partnership (TPP). In which case, US exports will decline. That doesn’t count the tens of thousands of Americans that mine the iron ore, or the rock, or chop the trees to make paper and houses, or manufacture cement, or who mold metal into products, and other producers of raw materials, or the people who operate the electric companies that power those 250,000 soon-to-be-lost manufacturing jobs. But that’s not all. Just like the jobs that will be lost to Chinese currency manipulation via the TPP, all of these jobs pay state, federal and local taxes that support schools, road building and maintenance, forest service jobs, fire and police, and a lot more government jobs. The TPP appears to be geared toward rendering obsolete the Maquiladora zones. Why else would Vietnam be a party to this agreement? The Vietnamese aren’t going to be purchasing a lot of American goods and services simply because those people can’t afford to do so. When the TPP becomes law, kiss those jobs in the Maquiladora zones goodbye. Kiss that $51 billion dollars in US exports goodbye. And that’s just for the exports to one of these zones. In El Salvador, 230,000 apparel workers will likely lose their jobs, which will be shipped to Vietnam if the TPP becomes law. Tens of thousands of workers in other central America nations will also lose their apparel manufacturing jobs in the zones. These people sew many of the clothes people wear in the United States and elsewhere. Over 200,000 American workers supply the parts necessary to manufacture those clothes. Fabric, yarn and thread are made in US factories, and are then exported to Central America. Kiss those exports goodbye. Kiss those American jobs goodbye, as well as the hundreds of thousands of US jobs supported by those textile jobs. If the TPP becomes law, we’re looking at the loss of billions of dollars of exports yearly, and millions of US jobs. And that’s only with the loss of two Maquiladora zones. Thank you Senator Wyden! With the loss of jobs in the zones on such a massive scale, wages will drop like dead flies in Mexico and Central America. That happened in Mexico after Nafta, which drove millions of people into the USA illegally. “In the wake of widespread criticism of the U.S. Department of Agriculture’s (USDA) recent approval of the first genetically engineered apple, the U.S. Food and Drug Administration (FDA) recently deemed the Arctic apple, owned by synthetic biology company Intrexon, safe for consumption, relying only on company data through a voluntary safety consultation. Like other genetically modified organisms (GMOs), the Arctic apple will not be required to be labeled as genetically engineered.” Virtually all independent studies show that GMO products are potentially harmful to human health and have been linked to numerous human maladies, such as tumors, cancer, the rise in allergies, and obesity. The FDA was captured by the GMO industry a long time ago. 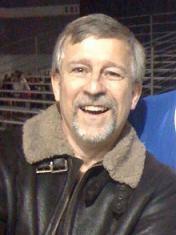 Michael Taylor is the current head of the FDA. He was appointed by President Obama under peculiar circumstances. 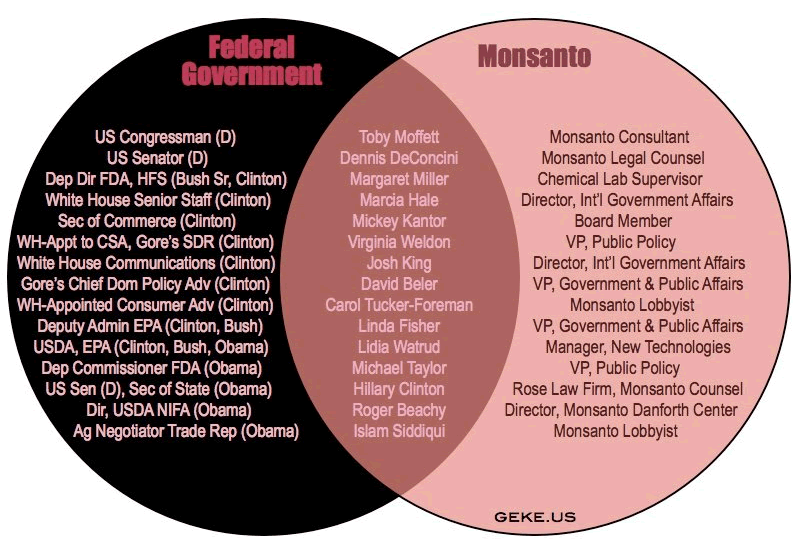 The Vice President for Public Policy at Monsanto Corp. from 1998 until 2001, Taylor exemplifies the revolving door between the food industry and the government agencies that regulate it. He is reviled for shaping and implementing the government’s favorable agricultural biotechnology policies during the Clinton administration. Yet what has slipped under everyone’s radar screen is Taylor’s involvement in setting U.S. policy on agricultural assistance in Africa. That’s $20 billion in US produced GMO food assistance. In collusion with the Rockefeller and Bill and Melinda Gates foundations, Taylor is once again the go-between man for Monsanto and the U.S. government, this time with the goal to open up African markets for genetically-modified (GM) seed and agrochemicals. In the late 70s, Taylor was an attorney for the United States Department of Agriculture, then in the 80s, a private lawyer at the D.C. law firm King & Spalding, where he represented Monsanto. When Taylor returned to government as Deputy Commissioner for Policy for the FDA from 1991 to 1994, the agency approved the use of Monsanto’s GM growth hormone for dairy cows (now found in most U.S. milk) without labeling. His role in these decisions led to a federal investigation, though eventually he was exonerated of all conflict-of-interest charges. Taylor’s re-appointment to the FDA came just after Obama and the other G-8 leaders pledged $20 billion to fight hunger in Africa over the next three years. “President Obama is currently embedded in a bubble featuring some of the fervent promoters of the biotech industry and a Green Revolution in Africa,” says Paula Crossfield in the Huffington Post. Before joiningObama’s transition team, Taylor was a Senior Fellow at the D.C. think tank Resources for the Future, where he published two documents on U.S. aid for African agriculture, both of which were funded by the Rockefeller Foundation. As for the GMO Arctic apple, it is genetically engineered via a new, virtually untested experimental technique called RNA interference—or RNAi—that many scientists are concerned may have negative, unintended impacts on human health and the environment. This technique was used to silence genes related to the production of enzymes that cause apples to brown when cut, a natural indicator of freshness. However, browning in apples can be prevented using lemon juice or other natural sources of vitamin C, making the genetically engineered apple unnecessary. In addition, a new certified organic, non-GMO, non-browning apple, the Opal apple, developed using traditional cross-breeding, is currently available at leading grocery retailers. Scientists believe that the natural browning enzyme in apples may help to fight diseases and pests, meaning that farmers may have to increase their pesticide use on these new GMO apples. Conventional, non-GMO apples already carry some of the highest levels of toxic pesticide residues, many of them linked to hormone disruption, reproductive harm and ADHD. Scientists also worry that while Okanagan’s RNAi process aims to silence four of the apple’s genes, the process may be dangerously imprecise: targeted gene sequences are similar to other closely related genes, so the silencing process could unintentionally impact genes that affect other functions in the plant. 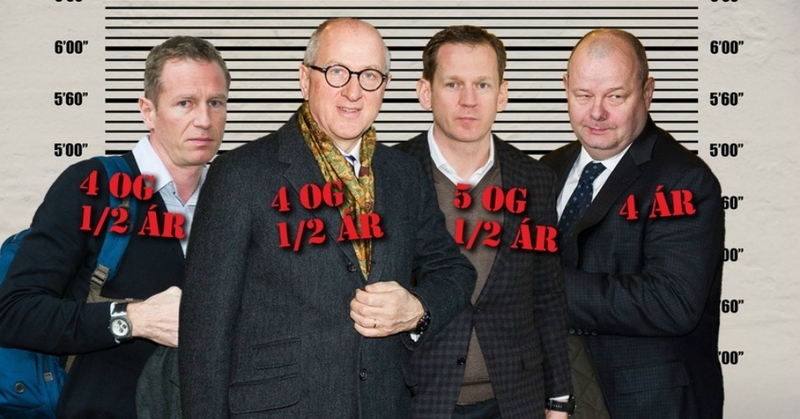 Iceland’s Supreme Court upheld charges against several bankers implicated in the world meltdown via fraud and other illegal opportunities last February. Hreiðar Már Sigurðsson sits in prison in Iceland. So do three of his associates. They were all forced to pay millions of dollars in fines. Why doesn’t that happen in the USA. The answer is simple. The USA government is one of the most corrupt in the world. Money rules, and that’s what US democracy looks like. 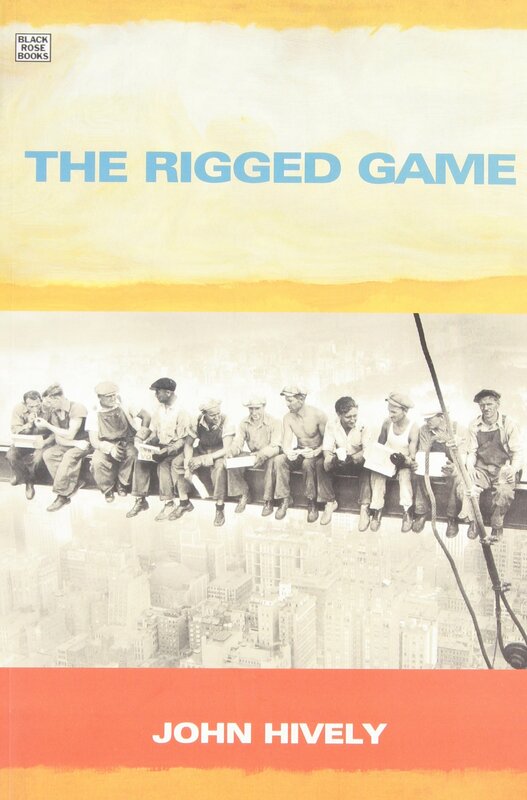 The corporate press is also remarkably corrupt, and so, the so-called free press has become a willing partner in criminal activities by sponsoring such slogans as “Too big to fail,” and “Too big to Jail.” The US public, for the most part, swallows this propaganda like fresh candy, and without question. The US bankster’s should be in jail, just like their brethren in Iceland, but the US in-justice department finds it better to focus on corporate crimes, and then lay fines against these corporations, rather than at the employees perpetrating the crimes. Those employees are among the most politically corrupting influences in the US government today. Are the Trans-Pacific Partnership (TPP) and the Trans-Atlantic Trade and Investment Partnership (TTIP) simply new ways for the United States to achieve global dominance against its trading partners, such as Russia and China? Not likely. They appear to be intended to make rich investors and their investments free from such things as democracy, basic human rights laws against slavery, minimum wage laws, environmental regulations, and more. These treaties are intended to push wages down worldwide, and for redistributing those lost wages to the investors represented by the US government. In other words, these treaties are scams against the middle class. US wages continue to drop without those treaties, and millions of jobs will be exported with the TPP. In Western Europe, an incredible number of items are made outside of Western Europe compared to twenty years ago. The leadership of those nations want more jobs exported. 1. The US middle class is being wiped out. 2. International trade deals like the Trans Pacific Partnership have shipped away tens of millions of American jobs. 3. The rich are getting wealthier at the expense of everybody else. 4. We need to overturn Citizen’s United, which overturned 100 years of legal precedence regarding campaign finance laws. 5. The corporate press is doing its best to keep American citizens ignorant of these and other issues, by focusing on missing emails, gun policy, gay rights, and anything else that will distract us. 5. We need to do something about all of these things and more. 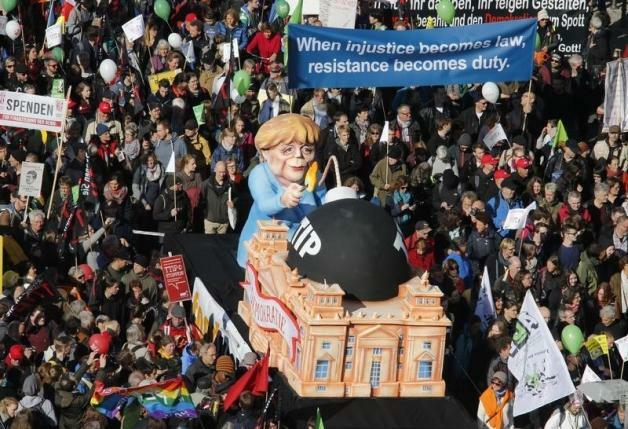 Berlin – On Saturday, October 10, 2015, 250,000 citizens of Germany rallied in the streets of Berlin against the thief of their political and economic rights via something called the Transatlantic Trade and Investment Partnership (TTIP). The TTIP, like the Trans-Pacific Partnership, is being negotiated to redistribute income and political power from the 99 to the 1 percent. That’s the sum reality of the game being played out via the TPP and the TTIP. “Thirty plus organizations, from trade unions to civil rights groups, to Germany’s opposition Green and Left parties, as well as opponents of globalization, cultural, religious and environmental organizations all supported the protest. Some of the many points of outrage for the proposed global trade agreements are allowing multinational corporations to sue nations over their existing laws and regulations before special tribunals, potentially eroding existing standards and that all negotiations and text of the trade deals have been kept secret from the public. 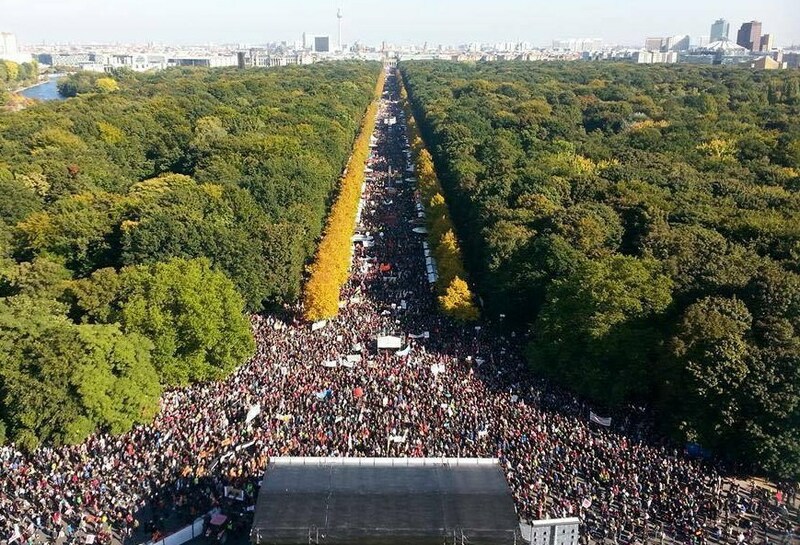 “Never before have we seen so many people take to the streets for this issue,” the German trade union confederation DGB, which helped organize the protest, said on Saturday. If the United States had a free press, rather than a corporate thought controlling press, then hundreds of thousands of US citizens would take to the streets against the looming scam called the Trans-Pacific Partnership. Bayer Inc. manufactures GMO poison that we consume, and this vile corporation also produces neonicotinoids, a GMO based insecticide that’s killing honey bees by the billions. When the bees go extinct, a lot of us, and maybe all of us, will too. So why can’t we simply stop using neonicotinoids? Bayer executives find the product more profitable than traditional insecticides, and the Bayer Corporation carries a ton of clout in Washington D.C.